June 29, 2017, 2:40 p.m. The M2DC partners showcased the latest results of the project at the ISC High Performance Conference 2017, taking place in Frankfurt, Germany, from June 19 to June 22. 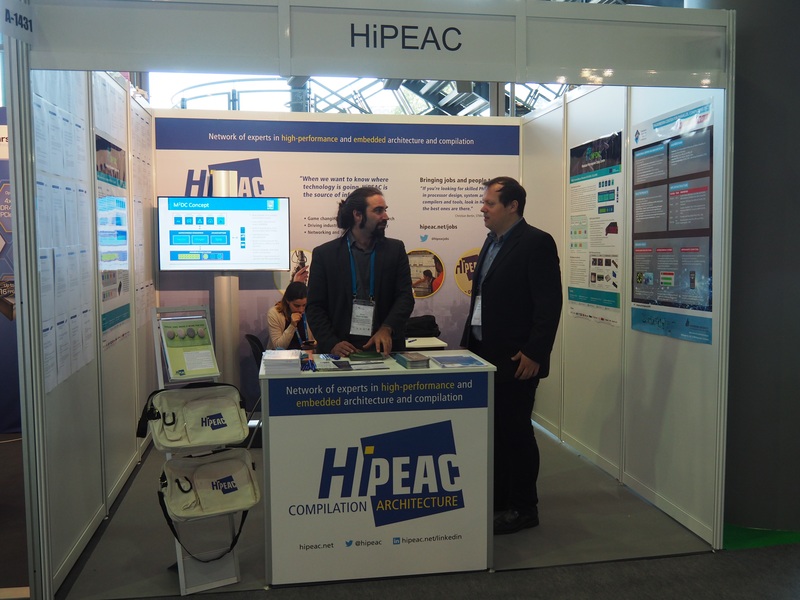 Attendees were invited to the CEA Booth and the Project Poster Booth daily from 19-21st June, and to the HiPEAC Booth on Wednesday, 21st. 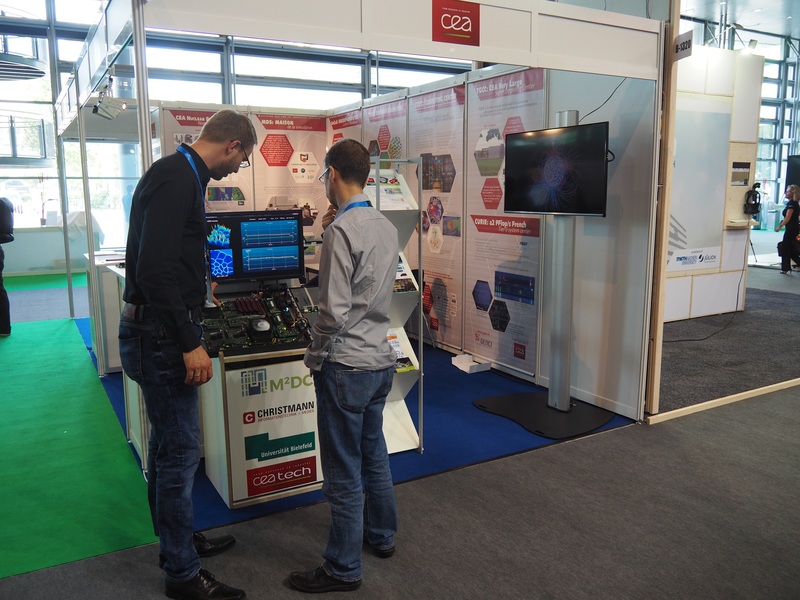 Energy efficiency of the heterogeneous approach in M2DC was highlighted by a live demo of an FPGA-based hardware accelerator for data mining based on unsupervised neural clustering algorithms. Several M2DC partners were exhibiting at ISC HPC 2017: RxC CES, CEA, ARM, UNIBI, CHR, As+, PSNC, HUA and several others attending with/or without exhibiting, promoting the M2DC approach with flyers, extending M2DC business cards and one-on-one conversation with interested stakeholders. We also took the opportunity to meet most members of the advisory board, who were invited to booths and dedicated discussions about project status and planning, and who provided interesting advice and conclusions.